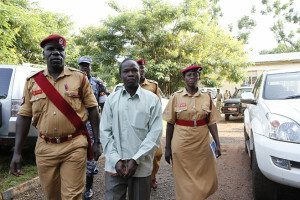 The international Crimes Division of the High Court has appointed four assessors to help judges in the ongoing trial of former Lord’s Resistance Army Rebel commander Thomas Kwoyelo alias Latoni. The assessors were appointed on Tuesday last week at the ICD court sitting at the Gulu High. The court had a panel of three judges. Kwoyelo appeared before Justices Jane Persis Kigundu, Duncan Gaswaga and Michael Elubu. The assessors appointed are Nighty Ajok 32 a resident of Aywee village in Pece Division, Gulu Municipality, David Ojok Oyite 42, a resident of Pageya Parish, Koro Sub-county Omoro district, Franklyn Odongkara 33 a resident of Pageya Laroo village, Bungatira Sub-county Gulu District. Another assessor appointed is Daniel Ochen 25, a peasant farmer and resident of Pece division in Gulu District. Initially the Registrar had presented a former Police officer Alfred Ongom 55 but the Victims counsel, defence lawyers and Kwoyelo rejected him on grounds that he didn’t possess required documents such as a national Identification Card prompting his replacement. Justice Gaswaga however cautioned the assessors not to indulge in making public statements or debates regarding Kwoyelo’s trial. Justice Gaswaga also reminded the assessors that they will have to attend all the court sessions in persons for the next two years after which they will be expected to give out their opinion on the case to the judges. Who is a court assessor? A court assessor is a lay person (not a lawyer) who is appointed to sit in and listen to serious cases. At the end of the trial, he or she advises court to either acquit or convict the suspect(s) depending on his or her evaluation of the evidence presented in court. A court assessors’ opinion is however not binding because the trial judge can either agree with their advice or depart from it. Kwoyelo faces 93 charges that relates to Murder, pillaging, sexual violence, robbery, attempted murder, hostage taking and Kidnap. He however denied all the charges. Meanwhile the Principal Judge Yorokamu Bamwine has also appointed the Gulu Resident Judge Stephen Mubiru as an alternate Judge in the case against Kwoyelo. This means four judges will now be sitting on the bench to hear the trial of Kwoyelo. 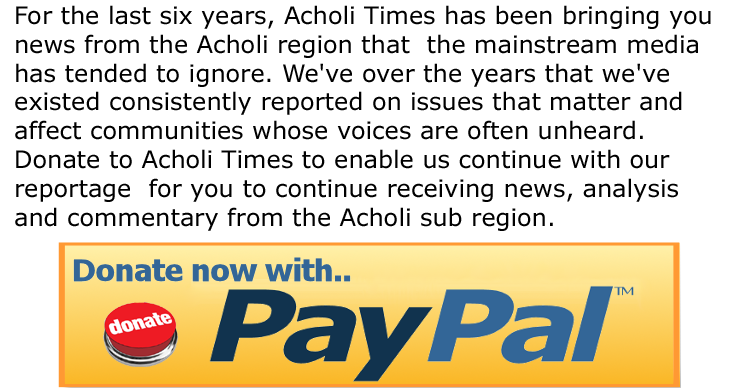 Kwoyelo’s Defence Lawyer Caleb Alaka told Acholi Times in an interview that Justice Mubiru was appointed two weeks ago. The state led by Ms Suzan Akello made an opening statement highlighting the summary of their evidences against Thomas Kwoyelo alias Latoni. In her submission before court Ms Akello said the state is convinced with the evidence showing that directly participated in committing atrocities against innocent civilians of Pabbo Internally Displaced persons’ camp in Amuru. “Prosecution will prove that Kwoyelo was part of the rebellion and directly participated in causing devastating and countless atrocities on population in Northern Uganda. We shall adduce evidence that the accused controlled a group of rebels whom he commanded, we have evidence that the accused intended and planned to execute the atrocities,” Ms Akello submitted. The state has lined up 130 witnesses, 360 exhibits including pictures, medical reports, videos, newspaper extracts that will produced in court as evidence against Kwoyelo. The prosecution team also produced the first Expert witness, Mr Fabius Okumu Aliya, [PW1] a senior Lecturer at the Institute of International Criminal Justice at Nkumba University who tendered in court a 182 paged research report of the conflict build up in northern Uganda. But Mr Caleb Alaka, the accused lead defense lawyer says the evidence on Kwoyelo’s indictment are concocted adding that the accused is a victim of the LRA war who wasn’t protected by the government as a child when he was abducted.